The nerves that branch off the central nervous system (CNS) provide messages to the muscles and organs for normal function. When there is CNS damage, the function of these organs and tissues may be compromised. 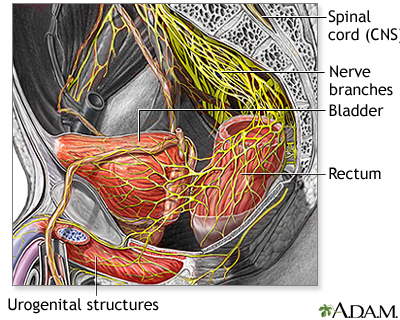 In multiple sclerosis, the demyelinization of nerve cells may lead to bowel incontinence, bladder problems and/or sexual dysfunction.